Point of Sale Interface for Hotel PMS - Innsoft, Inc. The point of sale interface for the Check-Inn property management system will post a bar or restaurant charge to the guest folio in your hotel software. 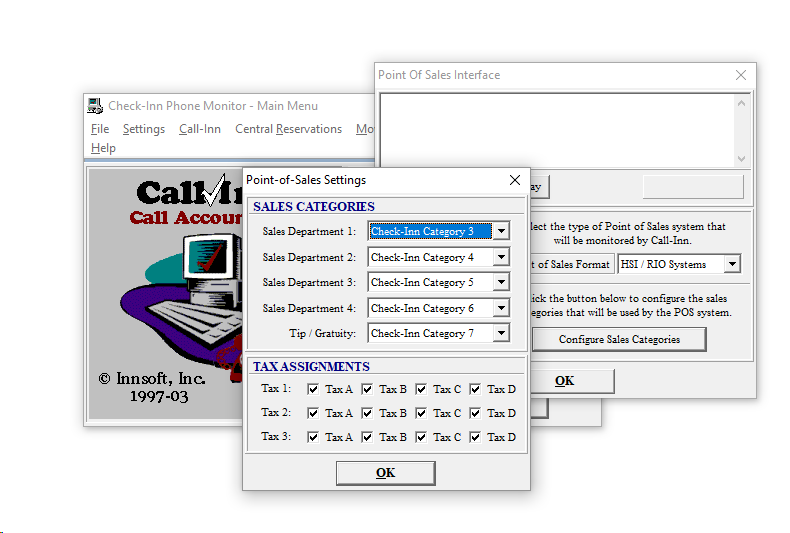 The interface is with HSI/RIO point-of-sale systems, which now falls under the MICROS division of Oracle.